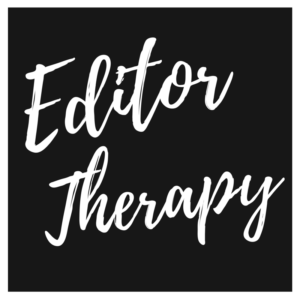 Welcome to Editor Therapy, where student editors come to get answers to their most pressing student media concerns and advice on issues ongoing in their newsrooms. #EditorTherapy is a weekly Twitter chat hosted by me (Kenna Griffin, @profkrg) at 8 p.m. CST Wednesdays. We discuss a different student media-related issue each week. Editor Therapy chat was inspired by a conference session I’ve hosted for many years at National College Media Convention. In the session, I offer a bit of leadership advice, then I open the floor for student editors to ask me questions about their job-related issues and concerns. The session typically lasts the entire hour it’s allotted, then spills into the hallway for about another hour. Students randomly stop me to ask me questions during the remainder of the conference. I don’t know that I’m always able to answer all of the students’ questions well, but it’s clear that they’re looking for a lot of guidance from someone outside of their organizations. You know, the kind of help you get from a therapist. It also is clear from the standing-room-only session that there are a lot more editors in need than I can help during an hour-long session once a year. I started the chat in 2015 to help more student editors. Editor Therapy chat is for student media editors. However, student journalists, journalists, collegiate media advisers, or professors are welcome to participate or listen. Essentially, the discussions are focused on student editors, but I want anyone who can help to attend. Editor Therapy chat begins with an introduction from myself (the hostess) and an overview of the topic for the evening. I then ask a series of questions, using the #EditorTherapy hashtag, and ask you to respond. We will sometimes have guest advisers and student editors join us and questions may be directed at their expertise, but I want the chat to focus on you and topics of your choosing. If you have more questions about Twitter chats, my post on 10 Tips for Participating in Dizzying Twitter Chats can help. Your participation in Editor Therapy is critical. The chat cannot work without you, but I will continue hosting it as long as you show up. Follow the #EditorTherapy social media accounts outlined above and my Twitter, @profkrg. Participate in the #EditorTherapy chat and encourage others to do so as well. Discuss student media issues and chat ideas in the Facebook group. I look forward to chatting with you and helping you become the editor you want to be!